Symphony T140 price in Bangladesh with full specification and also more information! The Symphony brand is the largest mobile phone brand in BD. People like this mobile phone brand very much. So, the Symphony brand releasing the new mobile phone with the lowest cost. So that the user can purchase a new device with the lowest cost for use. The Symphony brand released some feature phone which performance is so good. Here the Symphony T140 is one of them. In this time, here we will try to discuss on this feature phone. So, read this article attentively. This new feature phone comes with the four new colors which are Red, Black, Gold, Dark Blue. The Display is 2.8″ inches QVGA display. This is a large size display which is good for use. This phone’s special features is, this phone is Java supported the mobile phone. If you have any plan to purchase a new mobile phone for only talking, you can see this new device features and specifications. Here we will try to discuss on this button phone. So, you should read this topic attentively. The Symphony mobile phone brand who always brings the new mobile with the lowest cost. In this time, this mobile phone brand brings a new mobile phone which price are low but the performance is so good to use. 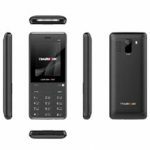 Symphony T140 Price in Bangladesh 1490 BDT.